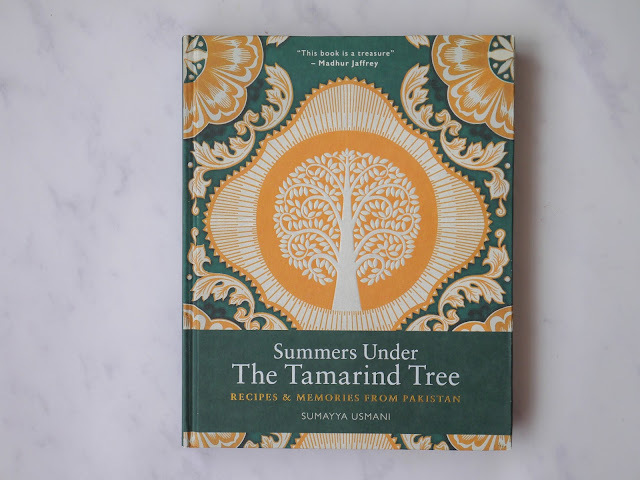 This Muslim Girl Bakes: Cookbook of the Month April 2017: Summers Under the Tamarind Tree. Cookbook of the Month April 2017: Summers Under the Tamarind Tree. I have way too many cookbooks. And, I keep buying more! This month, I picked out one of the many books from my shelf and made it my cookbook of the month. 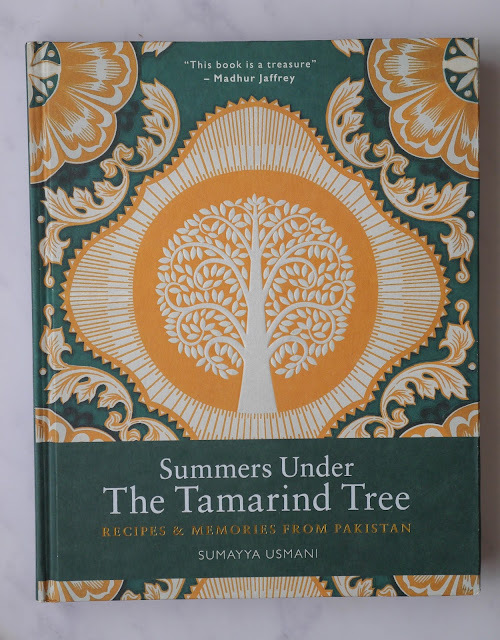 It's a wonderful book called Summers under the Tamarind Tree by Sumayya Usmani. The book is filled with lots of Pakistani recipes and this month, I tried my best to cook one dish from each chapter. Masala Blends - Chaat Masala: I wasn't actually planning on making this but needed it for a recipe and realised that I had all the whole spices that were needed. 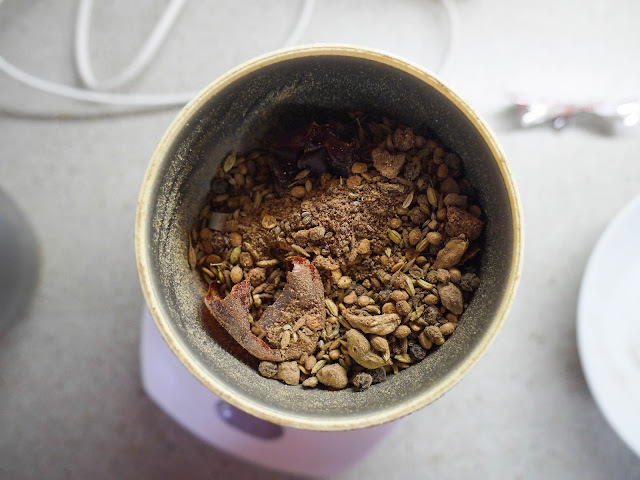 So, I filled my spice grinder with cumin seeds, black salt, dried mango powder, dried red chillies, dried pomegranate and black peppercorns. 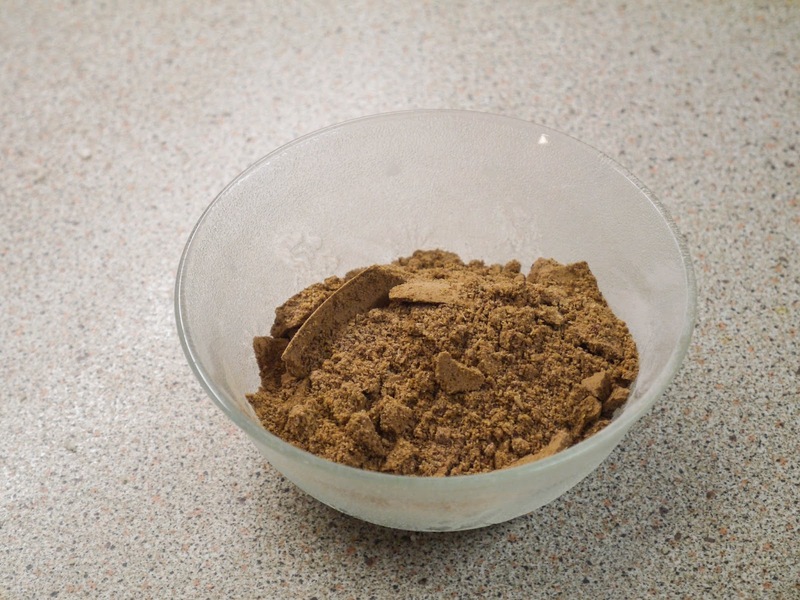 A quick whiz and I had the most fragrant chaat masala on my hands. Breakfast - Khagina: We love eggs for breakfast and so, these spicy scrambled eggs with tomatoes and coriander were a definite must-try. 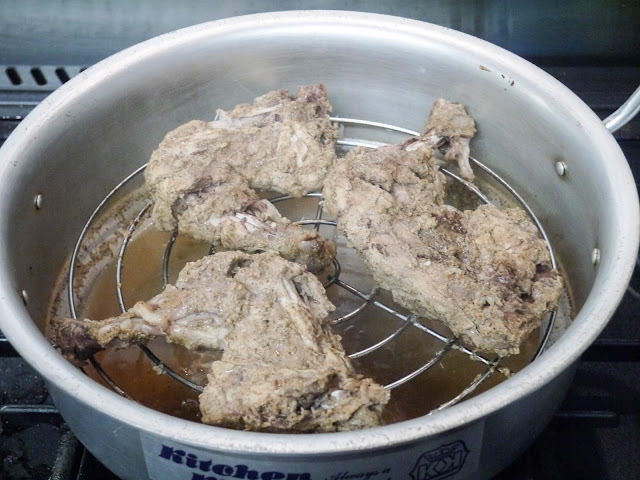 They were different from our usual recipe in that they started with garlic and cumin seeds fried in hot oil. 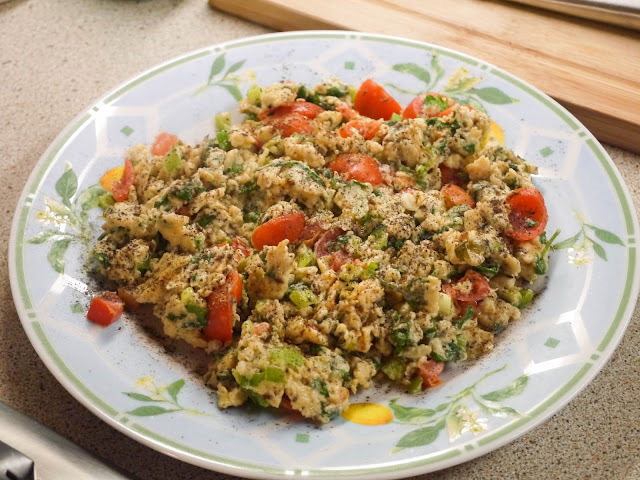 A lovely change indeed that brought a deeper flavour to a breakfast classic. 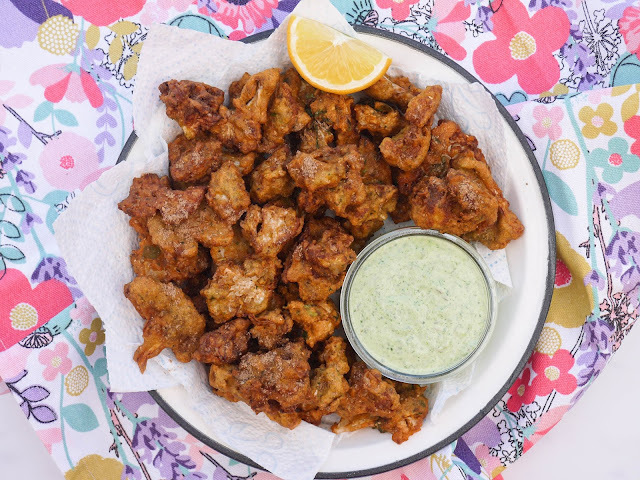 Street Food and Snacks - Shabbo Khala's Cauliflower Pakoras: My dad is a big fan of pakoras. He will bring a whole head of cauliflower specially to make them. When I read that these cauliflower pakoras had no gram flour in the batter but were instead made with moong daal, I was intrigued and had to try them. 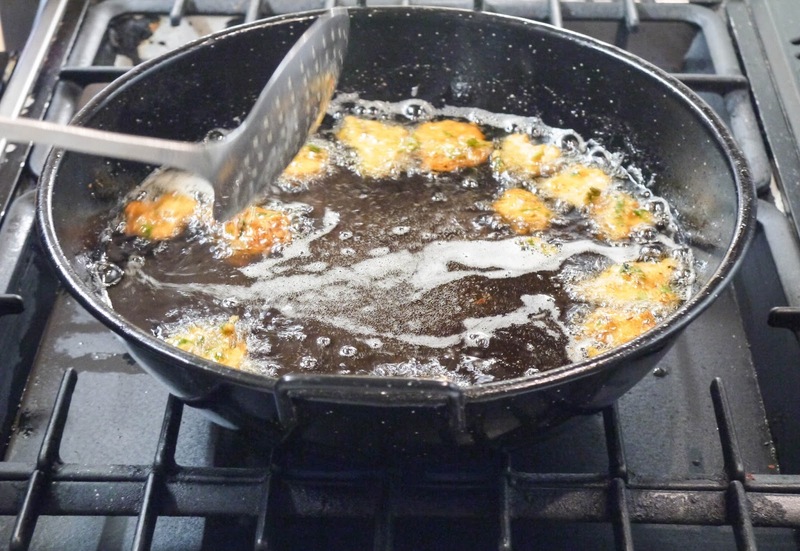 The cauliflower florets were dipped in the lentil batter before being deep-fried in hot oil. We served them sprinkled with chaat masala and ate them dunked in our favourite green yoghurt chutney. They did not last long. 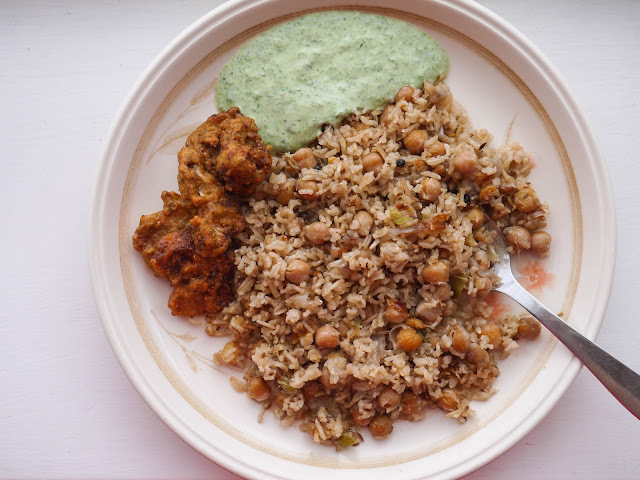 Breads and Rice Dishes - Attock Chana Rijai: This was another dish that I really wanted to try when I was first flicking through book, bookmarking recipes in my head. It's a chickpea pulao made with not white basmati rice but brown basmati rice. The brown rice went really well with the chickpeas and had a real nutty taste it. Lamb, Beef and Mutton - Coal-Smoked Lamb Keema: Lamb keema is another house favourite and so, this coal-smoked version was another must-try. I've only ever smoked chicken breast before so it was nice to see what taste it gave to the lamb mince. 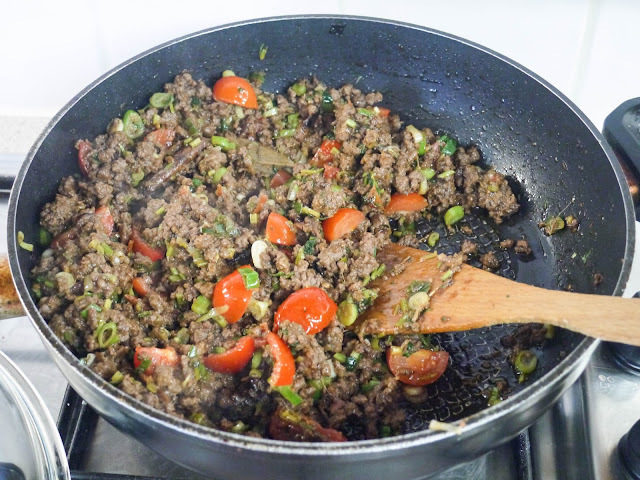 This keema was flavoured with plenty of whole spices fried in hot oil and finished with cherry tomatoes and spring onions. 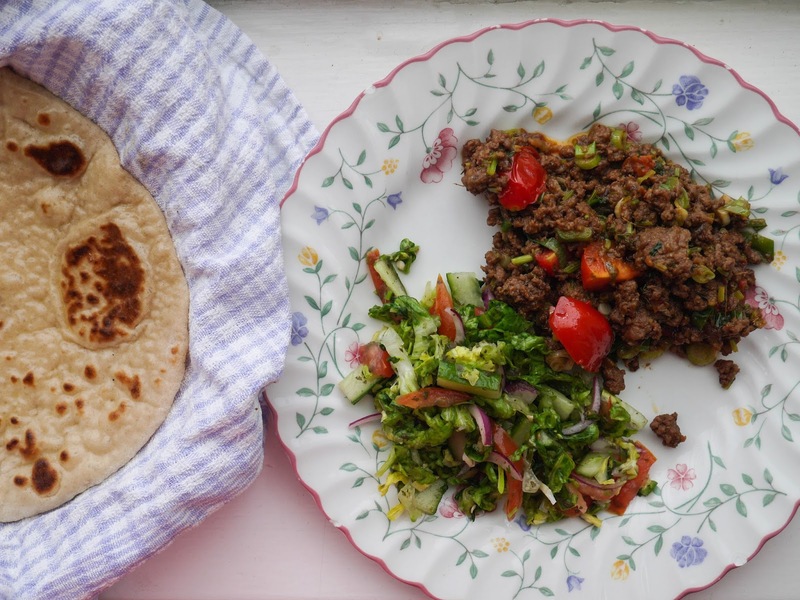 We ate it with my favourite flatbread and a mint sauce salad that I am obsessed with! 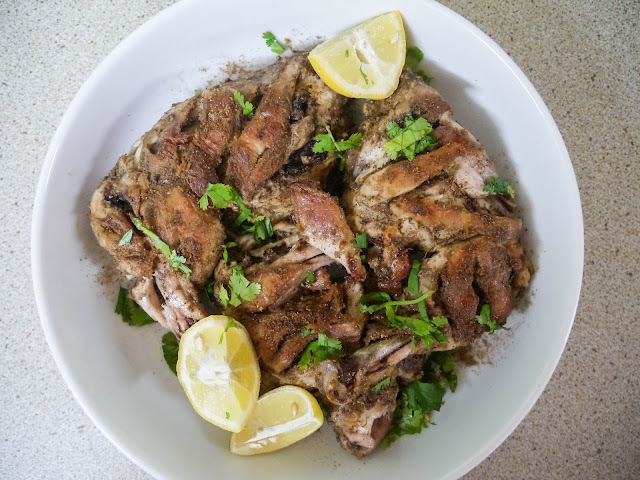 Chicken and Other Birds - Lahori Chargha: This Pakistani street food classic started with a homemade chargha spice blend. 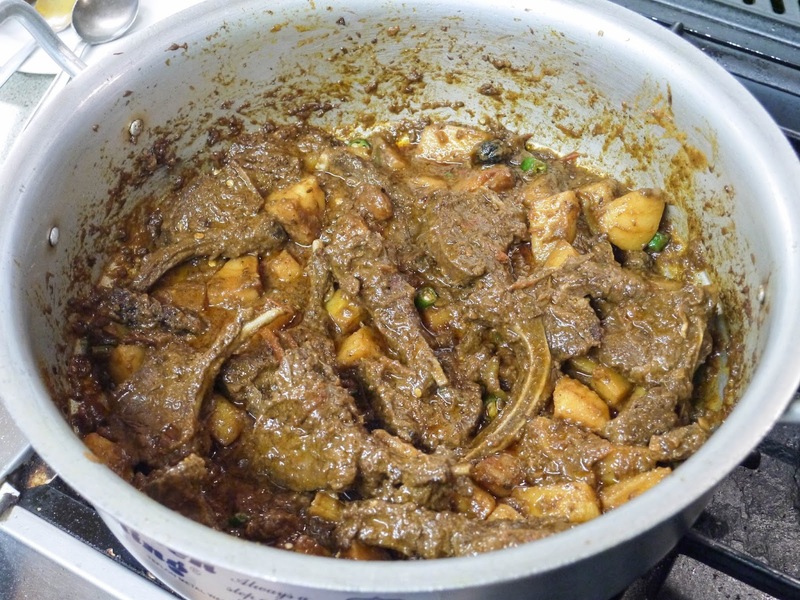 I used the recipe in the book made with black peppercorns, dried red chillies, cumin seeds, coriander seeds, fennel seeds, carom seeds, green cardamoms, dried mango powder and dried pomegranate. Whole chicken legs were marinaded in the spice blend, yoghurt, ginger, garlic and vinegar. 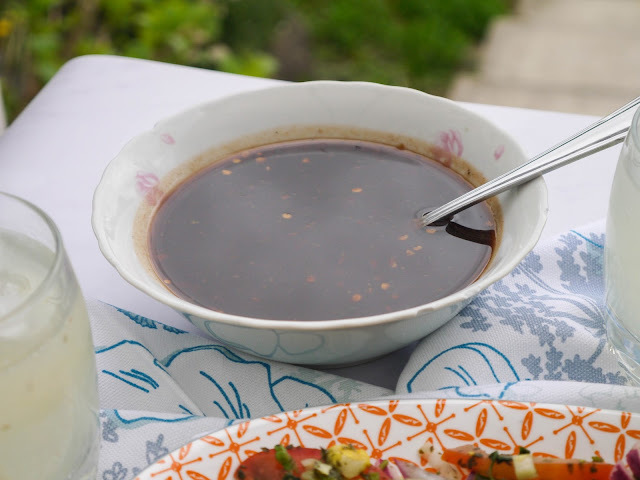 We let them marinade for a few hours. The chicken was then steamed until just cooked. Before being fried until golden and crispy. Served with fresh coriander and lemon wedges, it was good although I just wish I'd added a little more salt. 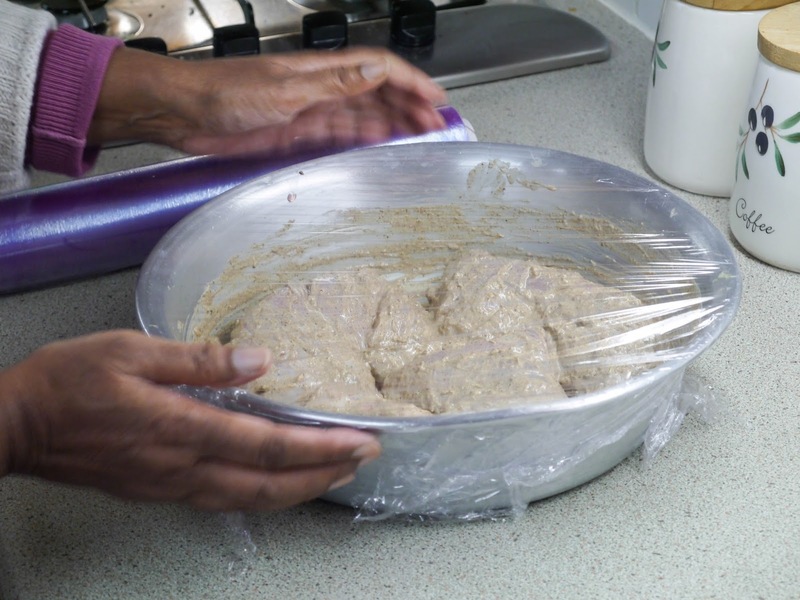 Seafood and Fish - Fish Kofta Curry: This curry might actually be my most favourite thing that I made from the book. 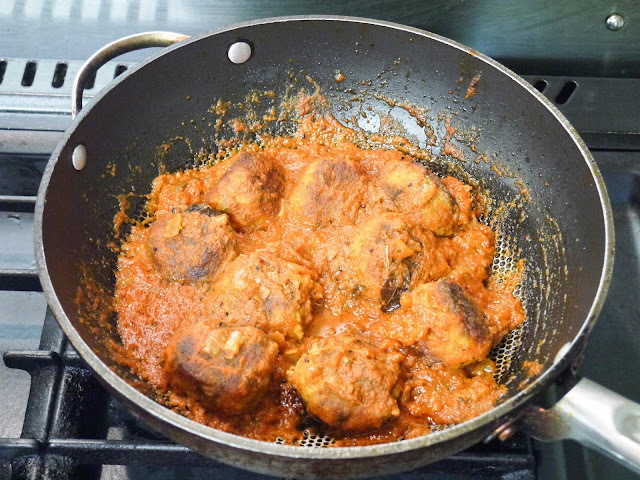 The sauce was super intense but went so well with the lightly spiced cod koftas. We served it, as suggested, with boiled rice and it made a delicious weeknight meal. 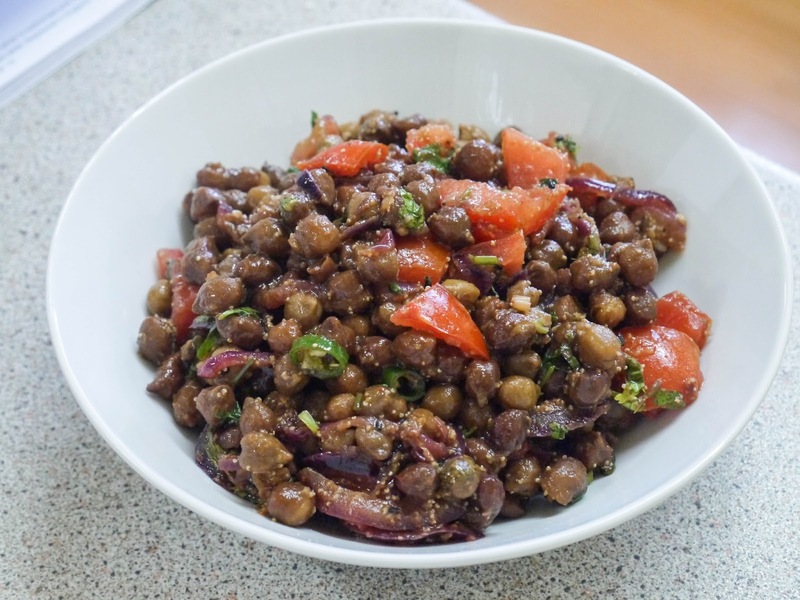 Vegetables, Fruit and Salad - Kalay Chanay: We love a good chana chaat in our house but don't make it often enough. This recipe uses black chickpeas which we had dried in the cupboard. I soaked them overnight then boiled them in water until tender. 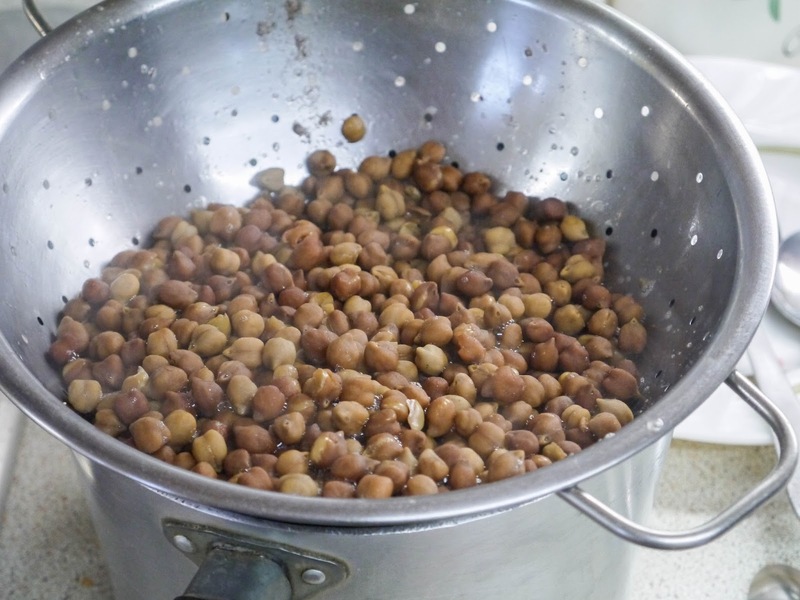 They won't be as soft as normal chickpeas but that's to be expected. This salad was slightly different to any chana chaat that I'd ever made because it was cooked in a pan. 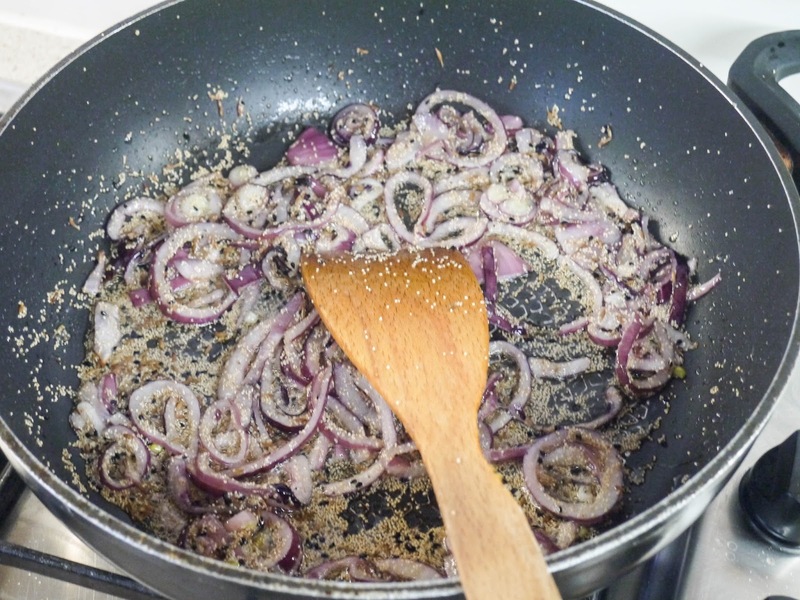 Red onions were quickly fried in hot oil with cumin seeds, nigella seeds and white poppy seeds. 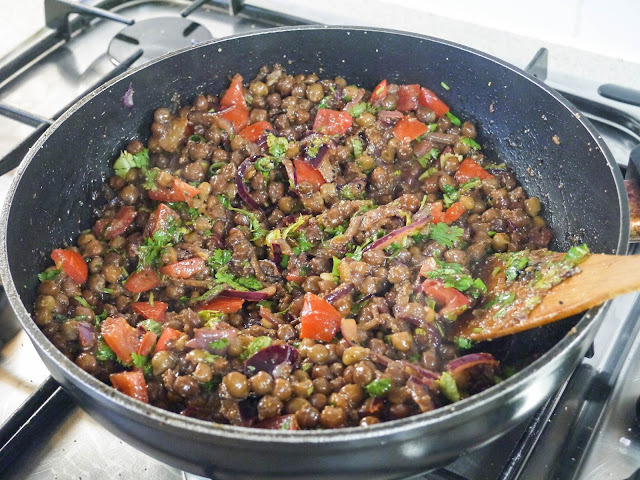 The black chickpeas were added in along with a tamarind, garlic and red chilli chutney. Finished with lots of tomatoes, fresh coriander and green chillies, it made the perfect bank holiday lunch. Chutney and Pickles - Lasan ki Chutney: Here is the tamarind chutney that I mentioned above. It was so spicy when we first made it and we had to add sugar. 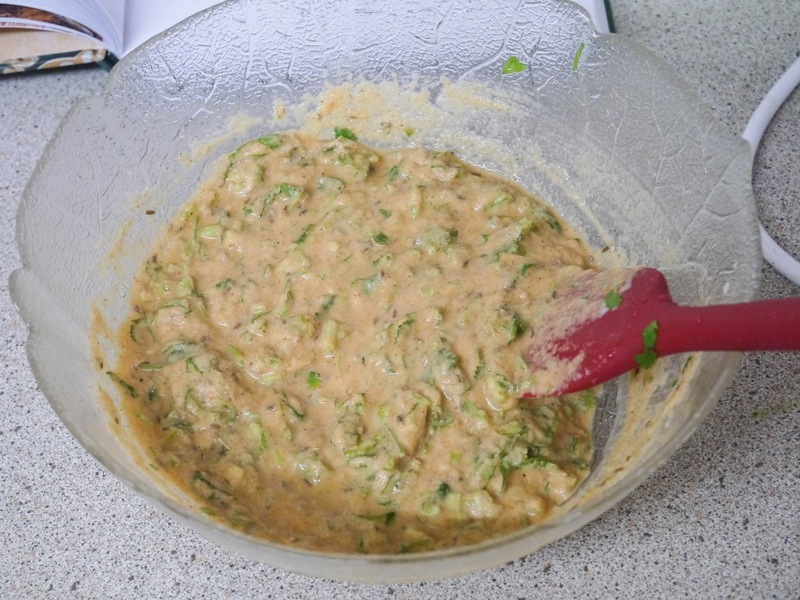 It mellowed as it cooled and was really good in the chickpea salad as it was with a few samosas. Celebration Feasts - Sindhi Mutton Biryani: My mother chose this recipe to make from the celebration chapter and my word, it was so good. 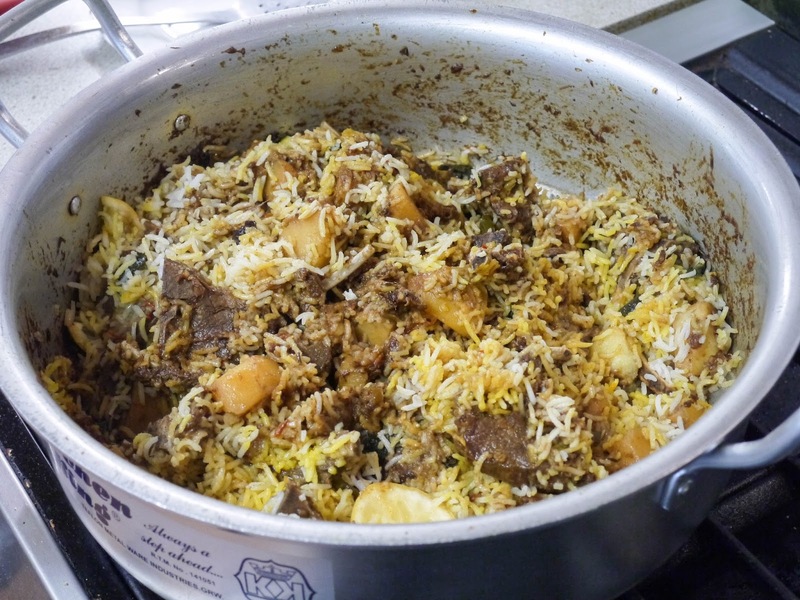 It was the best biryani I've ever cooked. 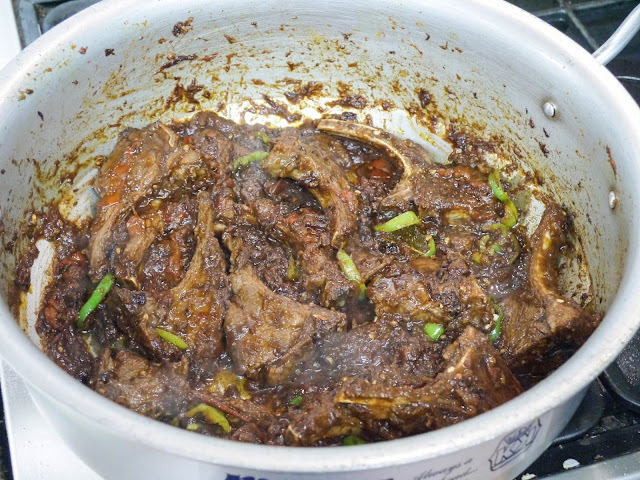 I did tweak the recipe based on what we had on hand. For example, I used lamb chops instead of mutton. I also adjusted the spice levels because we like things a little spicier. In went red chilli powder and a good few sliced green chillies. 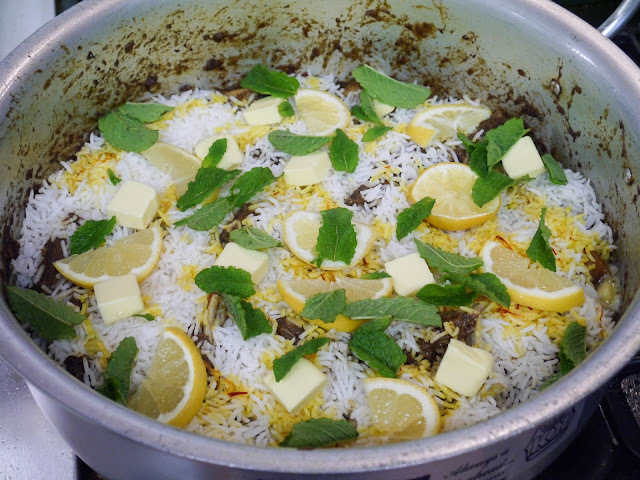 Before steaming, the top of the biryani was studded with butter, kewra water, lemon slices, fresh mint and a saffron milk. 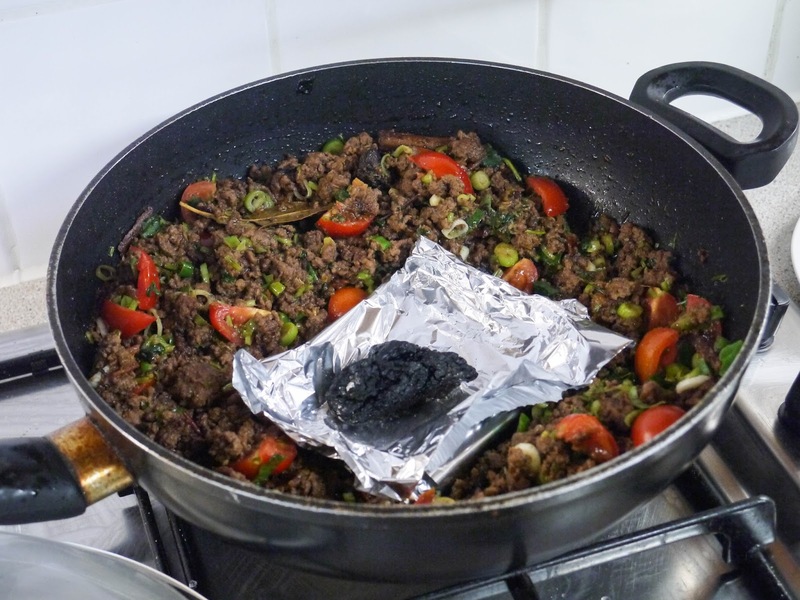 Once steamed, it was ready to enjoy. No yoghurt chutney or side dish needed which I always think is a sign of good biryani. 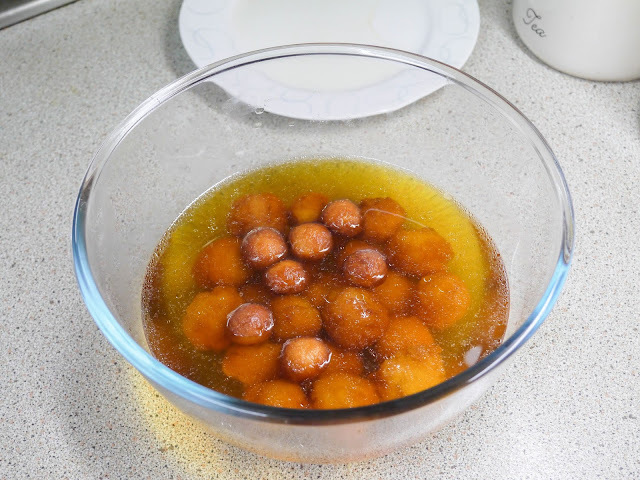 Desserts - Gulab Jamans: These gulab jamuns were another must-try. I am a big fan of them and had never made them at home before. 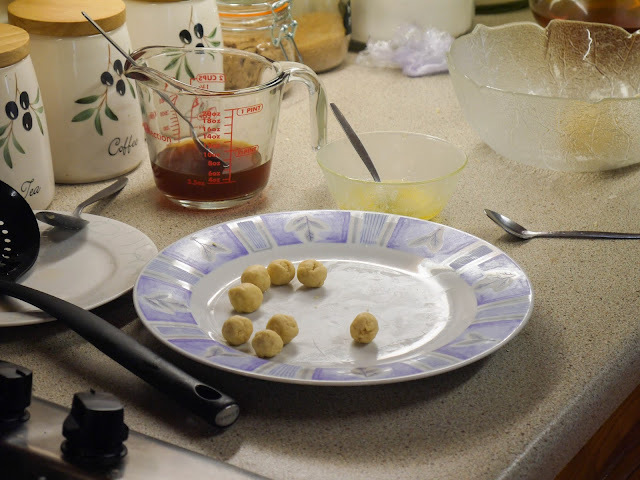 Deep-fried dough balls made with whole milk powder were soaked in a sugar syrup. 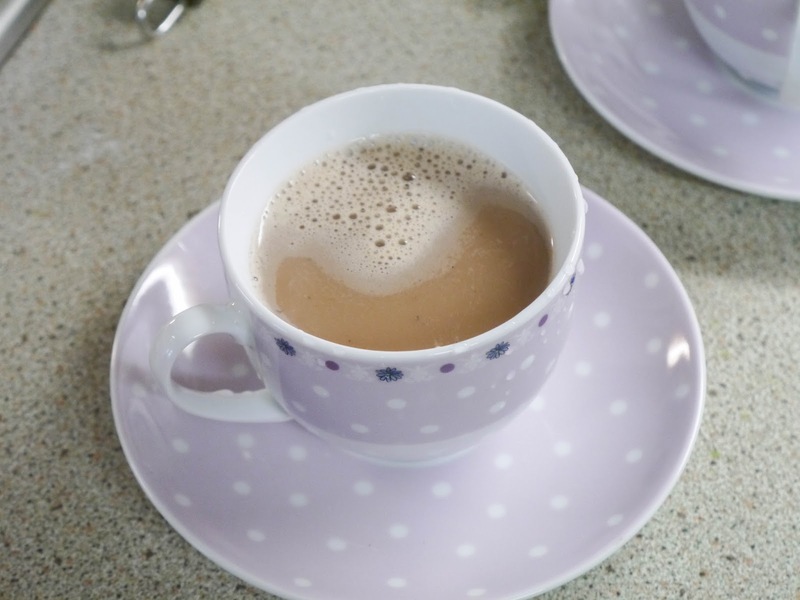 The sugar syrup was infused with Earl Grey tea which brought a real floral taste to everything. Perfect for Spring! 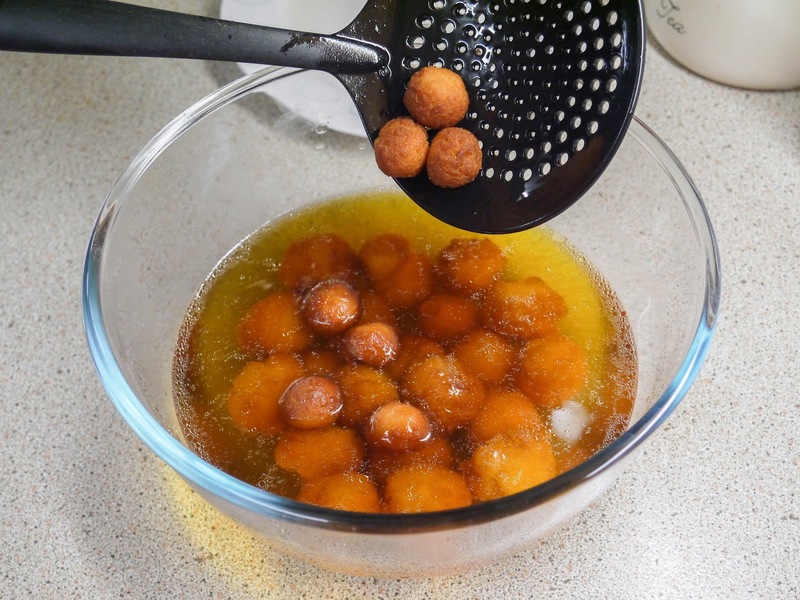 Gulab jamuns are notoriously difficult to make and for me, I had set myself extremely high standards. Our local Indian sweet shop makes the best gulab jamuns and has been doing so for the past twenty-odd years. A little more practice and I hope I'll be near enough to theirs soon! 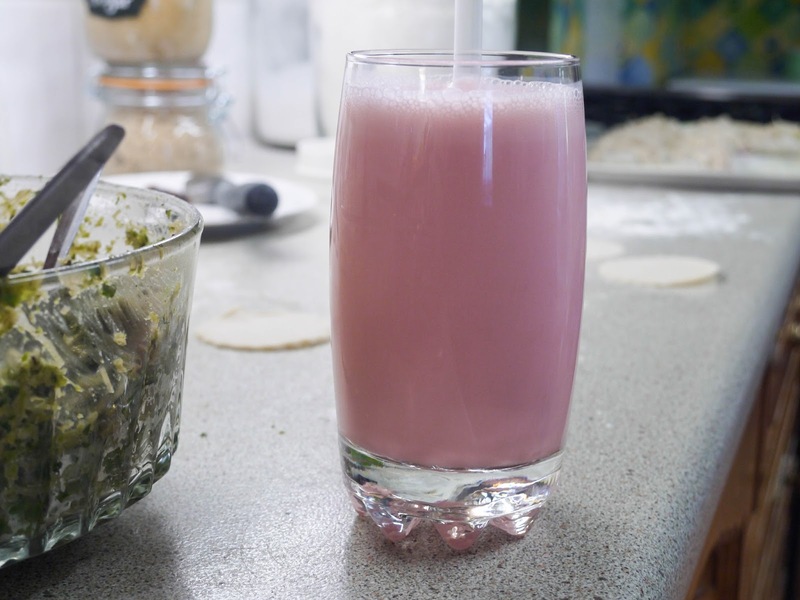 Hot and Cold Drinks - Rose Milkshake: This recipe in the book does have a method for making a rooh afza style syrup. However, we had a few bottles at home and so I cheated and used them. I added vanilla ice cream and it was so good! 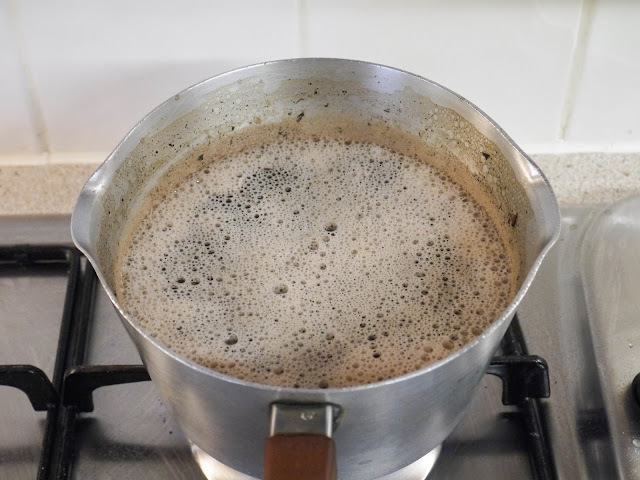 Noon Chai: This was a homemade version of the pink Kashmiri tea. I don't think I used the right tea leaves so my tea wasn't as pink as the one in the book. Still, it was lovely going really well with a Saturday afternoon homemade gulab jamun. Overall, I'm so glad that I decided to do this little project. This book has made me try so many new things that I wouldn't normally have. 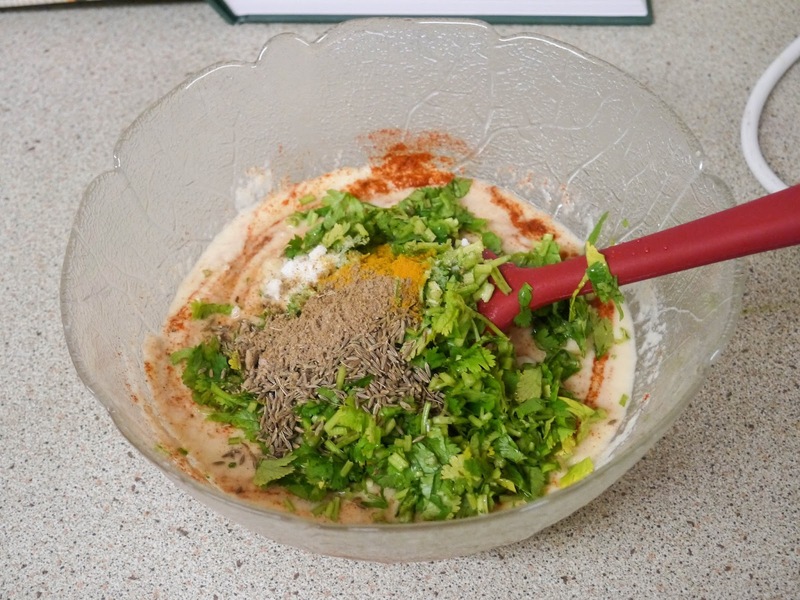 Dishes that I've grown up eating but never thought to try making at home. Once I've perfected them, I'll be sharing a few on the blog.